The Concept Space Cube semi-countertop basin features a space-saving short projection making it ideal for small bathrooms and en-suites. 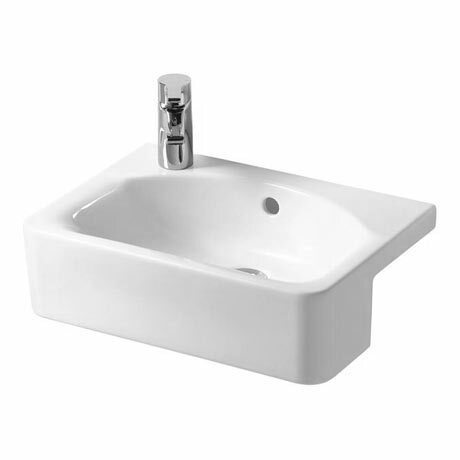 Manufactured using high quality fine fireclay, the basin features a left hand single tap hole and built in overflow. Dimensions: (W)500 x (D)360 x (H)140mm approx.